Actor-producer Aamir Khan feels the Hindi industry needs to pay more to writers, who are a fundamental part of the moviemaking process. Aamir attended the grand finale of Cinestaan India's Storyteller Script Contest 2018, and said such competitions could bring out more talent. He was joined by writers Juhi Chaturvedi and Anjum Rajabali here on Monday. "I felt really happy when I came to know that Anjum (Rajabali) is very keen to organise the screenwriting competition because India is a huge country. There are people who want to tell different kind of stories but they don't get the opportunity, so it's a good platform where people can send their stories," the "PK" actor said. "The film industry also needs competitions like these as we need fresh writers with different perspectives so, when Anjum invited me, Juhi (Chaturvedi) and Rajuji (Hirani). We thought it is a really nice attempt and we should support it," the actor said. Writers' remuneration has always been a talking point in the film industry. 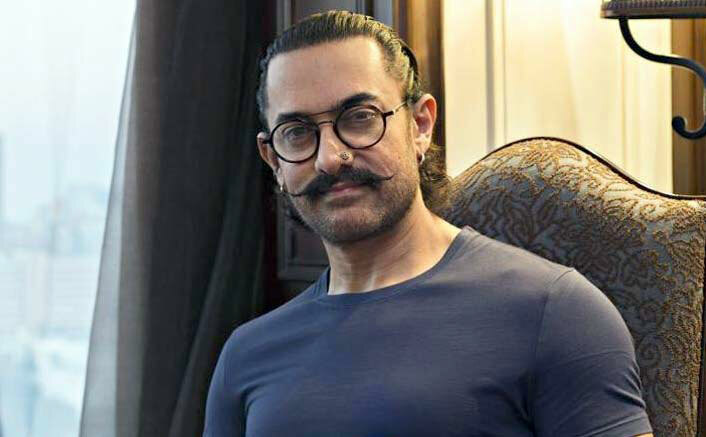 Asked whether writers should be paid enough so that they can come up with good stories, Aamir said: "This script writing competition is an endeavour to encourage people to come and write and we shouldn't stop here. In the film industry as producers, we should be paying much more to the writers. "I choose my film on the basis of scripts, so I think writers are the most important aspect of filmmaking because a story is the origin of a film. When a writer writes a good script, after that we all associate with that project. In that sense, a writer is actually the fundamental person in this whole process." Aamir said he is trying to create a revenue model for writers in the industry, in collaboration with writers and producers. "There is no doubt that a film is a director's medium because he becomes the narrator of the story and it's a team work where actors and technicians are also involved. But the writer is a person from whom a story originates, so I feel a writer should get revered position and the monetary compensation for a writer should definitely be higher in the industry. "On that issue, we have discussed a lot and we are trying to create a revenue model also for that." As part of Cinestaan India's Storytellers Script Contest, launched by Cinestaan Digital Pvt Ltd, winners were awarded cash prizes worth Rs 50 lakh. While giving away the top award, Aamir said: "Without a good script, there can never be a good film. There are many good and deserving writers in our country. However, not all of them have the right platform or opportunities to showcase their talent. This platform aims at achieving precisely that."